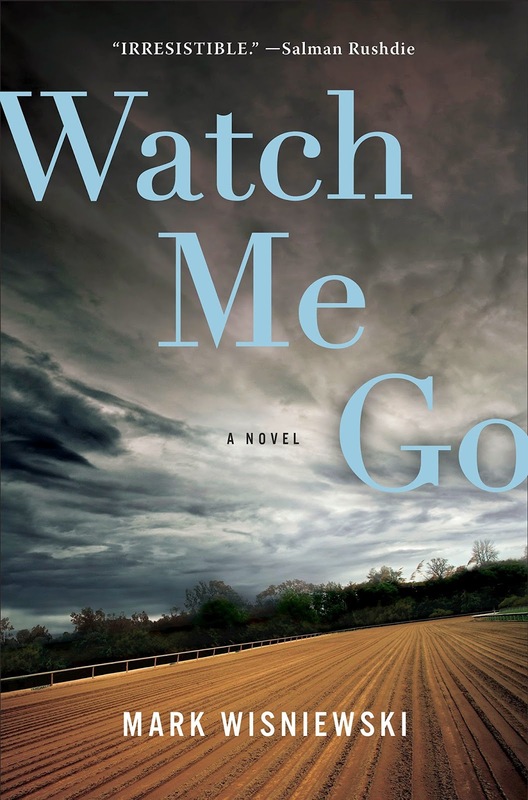 One of the characters in Mark Wisniewski’s novel, Watch Me Go, contemplates this sense of nothingness as he attempts to put a value on the life he’s lived, realizing that much of it was out of his control and what he did know was lies. Moving on from that point becomes a painful lesson in balancing courage with tradition. The novel begins with two completely opposite characters and their point of intersection. A white teenage girl fleeing from a gossipy small town contrasts with an older black man who hauls junk for a living. Right away, our stereotypes are shaken, as we find Jan and Deesh in a small visitor’s room in jail, where Deesh denies having killed anyone and Jan assures him she knows that already. From there, we are thrown into a revolving tale leading up to that day in the jail. Poor and ill-treated, Jan and her mother move to the ranch of a longtime family friend, one who promises to help them recover from the death of Jan’s father. Meanwhile, Deesh and his friends dispose of a sealed metal drum in exchange for a large sum of money, well aware that it likely contains a corpse. Both Jan and Deesh start out in desperation for a new life, a fresh start. Jan’s new location is in a small town that links nearly every resident to horse racing, whether as owners or gamblers. She proceeds to dream of becoming a jockey, despite the shady activities of nearly everyone she meets. She meets the handsome son of an owner and for a while it appears that her fresh start is guaranteed, and she gets her first chance to race in a secret practice run. Deesh, meanwhile, has more money in hand than ever before, but before he gets a chance to start that clean slate, he too gets sidelined by the criminal actions of another and next he’s on the run. Soon he has to make decisions far bigger than just his own survival. From these points the novel develops a breakneck pace as each narrates what surprises they encounter and their instinctual reactions. Having both narrate the story in the first-person allows the reader to really get into, not just the story, but their intentions and assumptions. We can see why they do what they do, not because an omniscient narrator tells us, but because they tell us in their own words. This device adds to the suspense and intensity because, when events occur, we feel their reactions just as strongly as they do. Numerous themes run through the novel, most notably that of fatherhood. We see fathers who live with emotional distance to their children, fathers who are dead, and those that are simply lost to a culture of missing dads. None of these absences are static: each character throughout contemplates this loss in their life and often weighs their decisions with an imaginary glance at their fathers, asking “what if”. This theme is intriguing because it parallels the perplexity of why good intentions often go bad, and why good people become tragically lost. The difference in ages between Deesh and Jan reveal this is a lifelong pondering. Wisniewski also has an apparent gift for describing place and incorporating those details into the story, almost becoming part of the plot itself. The Pennsylvania forest, Saratoga Springs, and other small towns are described in a way that captures both abandonment and isolation, failure and success. These mimic the layers of the novel. Other characters are similarly well-developed, most notably Gabe, the kidnapped-elderly-heart-patient-philosopher, who almost steals the show with his humorous (and profound) musings on women, life, and the Theory of The Big One. I jumped at the chance to review this as I had read a Wisniewski novel years ago, Show Up, Look Good, that knocked me out with its dry wit and astonishing twists. However, this novel is far different, with similar shocking twists but a deeper look at human interactions. It challenges stereotypes in a time that desperately needs those misconceptions addressed: we live in a post-Ferguson landscape that needs a complete rewiring of how we look at race as well as our assumptions about guilt and innocence. This might be a bit hard to take for some; it definitely challenged my belief system at times. But that further illustrates how often mindless choices are made, and how mindful choices can be misunderstood.